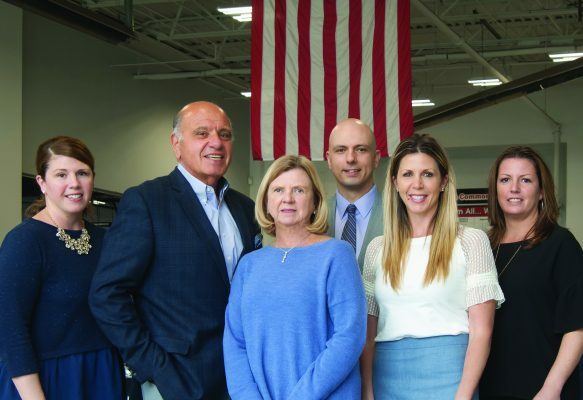 Commonwealth Motors has been serving drivers throughout New England for more than two decades from their Lawrence location with an inventory of vehicles including Chevy, Honda, Nissan, Kia, and Volkswagen in addition to pre-owned options. Charlie Daher is the president. I started this business in 1991. I always wanted to own this dealership when I was a kid. I had opportunities to buy other places, but when this one arose, I pounced on it quickly. Luckily, everything worked out. Today, all four of my kids and their spouses work for the business. Always. The challenges are constant, so you need great people. You can have a great plan, but unless you have the people to carry it out, it won’t work. What is the biggest lesson you have learned working in a family business? Trying not to discuss business when we are enjoying time socially. In spite of that, I’ve come to realize and be proud of the fact that my kids are always thinking about business and what we can do to make us better than the competition. Since I was a young kid my family would take vacations to the New Hampshire seacoast. Luckily, now we are able to host our family of 18, including 8 grand-children, in spending summers on the seacoast with us. My mother was a huge inspiration to me. She was a businesswoman, who raised four kids after my father died. She always said, “If you want something bad enough you can do anything.” I have four children, and I only hope that I can inspire them half as much as my mother inspired me.